On two occasions over the past ten years I have declared that I have retired. Fortunately on both occasions I was lying, at least to myself; I suspect everyone else knew it full well. What I was actually doing was seeking not to be less busy but to have more variety, and more control of my own diary. I have certainly succeeded on the variety, though improved diary control is still an elusive goal. This week Ali, our farm manager, stalker, stockman etc., is off on holiday so I’m having a week at the sharper end of farm management. Today I intended to get an early start but went downstairs to find that Holly, our elderly flat-coated retriever, had spent the night undoing the dressing and bandage that the vet had carefully applied to cover the wound where a lump had been removed from her tail the day before. Thank you Holly. It’s a lot more difficult to reapply a when the tail is in permanent wagging motion but with the help of industrial quantities of black tape I have hopefully kept it clean and secure until she returns to the vet for Round Two tomorrow. After that there were five other dogs to see to. Ali’s terriers had been given a tripe before he left and Bess was not leaving it alone. Yesterday she could not be coaxed from her kennel at all but she did agree to come out and walk briefly around before returning to defend what remains of it; there was much growling when her younger companion returned. 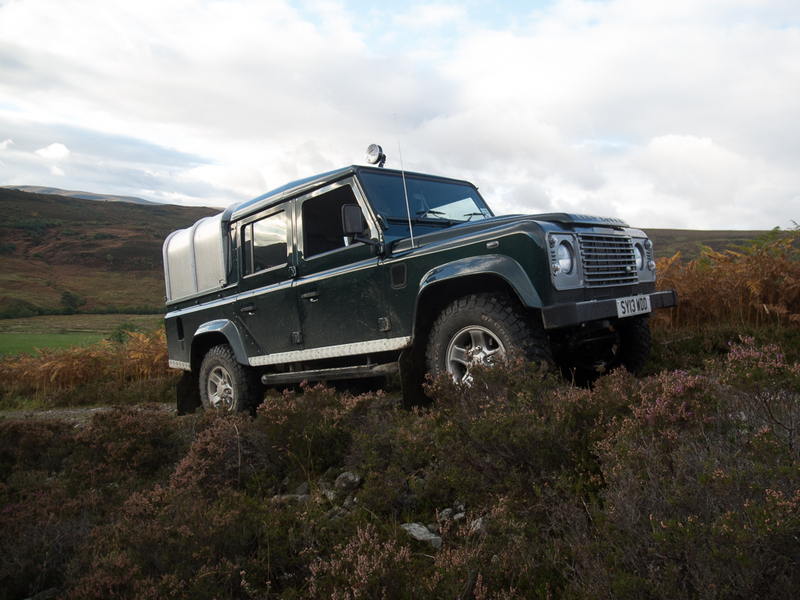 After that, I took the Land Rover up the strath to feed the cattle. They have a well-developed Pavlovian reaction to the morning appearance of the Land Rover and hurry over for their daily nuts. They move at alarming speed, reminding you what you would not want to fall in front of them, or have them standing on your feet. When Walter, our fortunately docile young bull has his head 18 inches from your asking where his feed it, it certainly gets your attention. The plan was to put out the feed before they arrived but I didn’t time it well today. 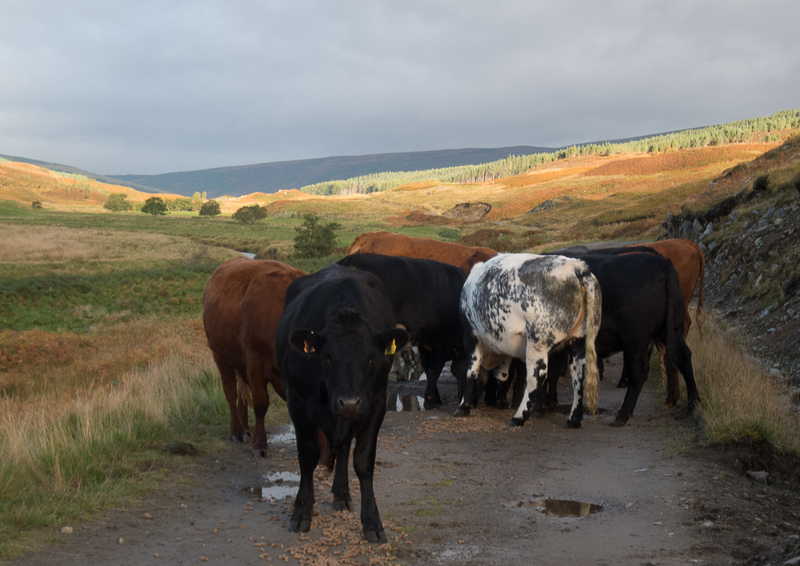 I put the food on the road today but it wasn’t the perfect place as three of the cattle were above the road at the top of a steep bank and couldn’t get down. Using the sack of pig feed as a lure I coaxed two of them down a safe route to join the others but one of them wandered off so I shall have to go back and check that they are all OK.
Hopefully, Walter has done his business and all our heifers are now pregnant, and thus no longer heifers. They will be scanned in a couple of weeks and Walter will be brought in to spend a pampered winter in the shed while the girls rough it on the hill. After the cattle it was the pigs. The main challenge feeding them is the hill start required on a steep and crumbling track after you have opened the gate on the way up. When I got there, they had wandered off exploring but the sound of the Land Rover engine has an equally powerful effect on them and they rushed down the hill to be fed. 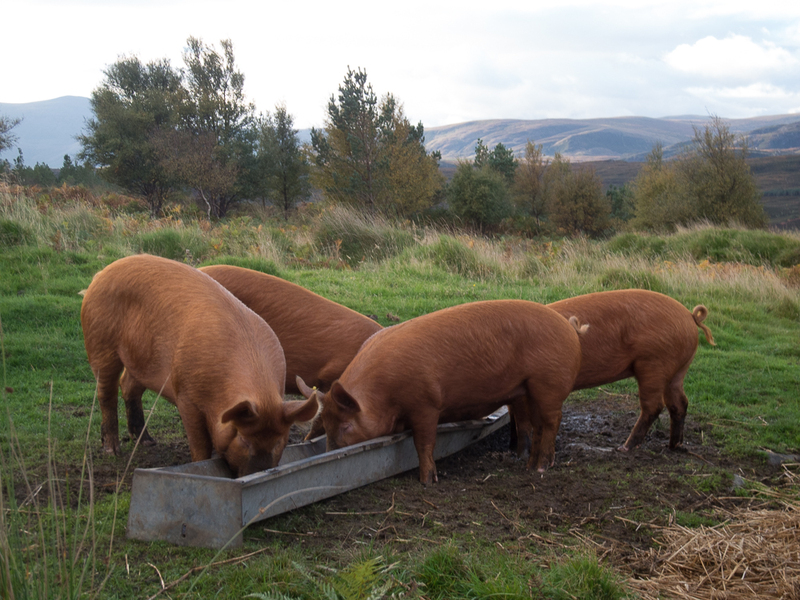 They are growing fast at the moment and will be ready to make the transition to bacon and sausages before too long. After that it was back home and still not 10.00am. 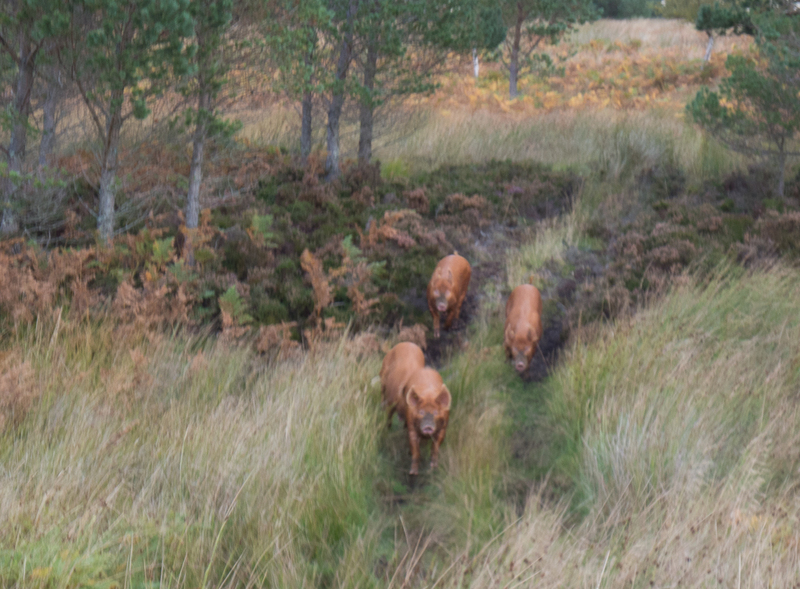 This entry was posted in Uncategorized and tagged Cattle, farming, pigs, Scottish Highlands, Tamworth Pigs. Bookmark the permalink. Wonderful post. It brings all the flavour of a gentleman farmer deeply inmersed in the beautiful daily chores of cattle management. I enjoyed it very much. Congratulations on your new job! Thank you, James, for sharing your stories and photographs. Very interesting. Definitely a 180 from what you were doing when I met you. Keep the stories and photographs coming!